I never really wanted to be a dance mom. As the mother of three daughters, I figured it would be inevitable that at least one of them would want to dance. I resisted for many years as my older two were more interested in soccer than in dance. My littlest, however, had other plans and she’s been dancing for a few years now. I figured out how to put her hair into a bun and I found a way to comply with most of the dance related obligations. The school we chose has a fantastic culture and we are happy. My middle daughter, while being a decent athlete, is also a performer as she sings, plays several instruments and has tried a bit of acting. Her closest friend dances and a couple of years ago she joined her in a hip hop class. I figured it was a good idea to get her some formal training moving her body to music so she can add it to her list of performing skills. Unfortunately…she is pretty good at it. Also as unfortunate, she really likes it. I say unfortunately because she caught the attention of the school’s directors and was encouraged to audition for their competing company. My initial “no way” eventually turned into, “ok fine”. She is only a partial member of the company, learning and performing only one hip hop dance routine for competitions. However, between the two classes a week she now takes along with company conditioning and rehearsals, AND added to the two classes a week my youngest takes I find that I spend much of my week driving to and from the dance studio. She is also committed to three weekends of competition along with an additional showcase and then the regular recital. Between this time commitment and the financial commitment dance has become a priority in our household and I just didn’t want this to happen. 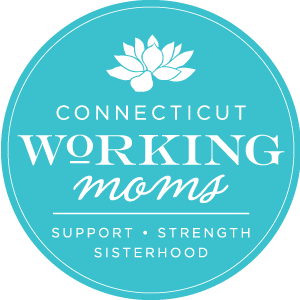 Despite my occasional frustration with the time commitment and despite somewhat frequent conversations with my husband that start with, “Ok, HOW much are we paying for dance? ?”, my girls are happy and every time I watch one of them dance I’m happy so we are rolling with it. I even started calling myself a “dance mom”. But…I am NOT a real dance mom. I am a fake. This hard truth was discovered at our first dance convention in Boston. My middle and I escaped our lives with her closest friend and her mom for the weekend very excited to spend three days dancing and socializing with friends. 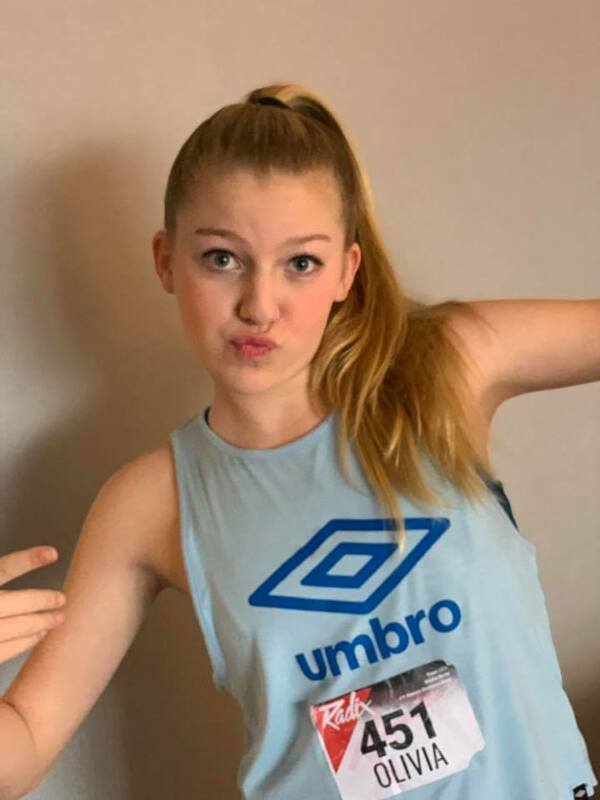 Unlike a typical competition, this would be a chance for her to take a few days of classes with many different types of instructors and it would be her first time up on stage competing. They danced, and they socialized, and we all had fun. I had no clue. I really had no idea what I was doing, where we were going, what was expected of any of us, or how to act. So we followed the crowd, did our best, and laughed and laughed. No clue WHAT was going on. I fed her wrong. The girls had to report to their first class by 7:45 in the morning. The real dance moms got their children up and ready and fed them a nutritious breakfast with plenty of time to allow for digestion. I pushed my daughter out of bed and told her to be sure to grab one of the muffins we had stashed in the room to eat while in the elevator…and rolled over and went back to sleep. We were told to appear in the convention area with lunch for our children each day. I packed her sandwiches, chips, and desserts. The real dance moms packed salads and apple slices. Oops. One day they had a longer break for lunch. The real dance moms hustled their dancers up to the room for a quiet rest and healthy lunch. 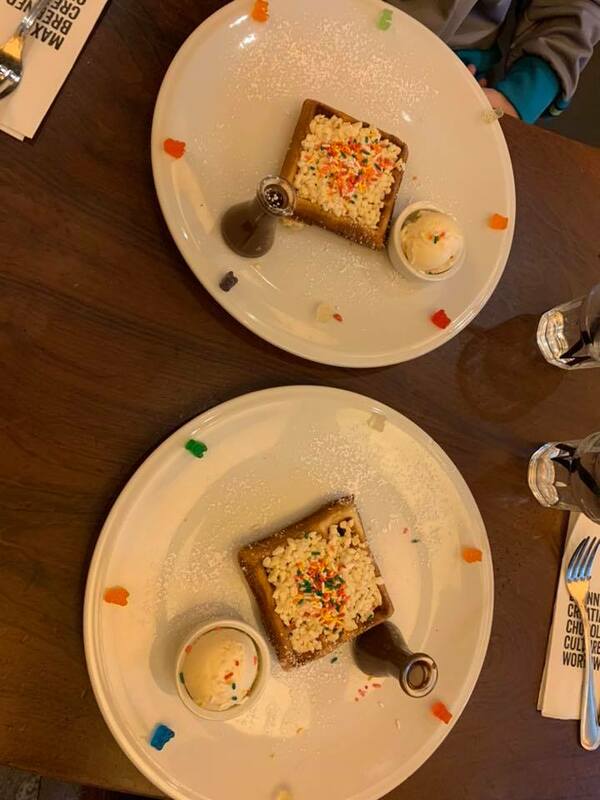 We went to Max Brenner for a brunch of waffles piled with chocolate, whipped cream, and gummy bears. I skipped the gummy bears and went for strawberry topping. I’m a terrible stylist. The real dance moms had their dancers’ makeup organized and expertly helped their dancers apply it. I watched in awe as a dance mom tamed her daughter’s hair into a slick pony tail and then into a flawless bun with no mirror, while sitting on the floor, and with minimal products or pins, IN FIVE MINUTES. The dancers had beautiful rolling suitcases, engraved with their names, that contained all the pieces of all of their costumes and other dance wear. My daughter stuffed her dance gear into her school backpack and packed her costume in a cinch bag…and almost forgot the shoes. We brought the wrong eye shadow, had no idea how to apply fake eyelashes, and I left all of the hair and makeup tasks up to my daughter saying I would help her if she needed me but knowing I really couldn’t help her if I tried. She remembered to grab her lipstick on the way out of the hotel room as we ran for her call time and applied it in the elevator. Thought we were ready…forgot the lipstick. We were under no pressure. There are many student dancers who dream of dancing professionally. Dance conventions like the one we attended are a chance for their talent to be noticed by the instructors and competition judges. 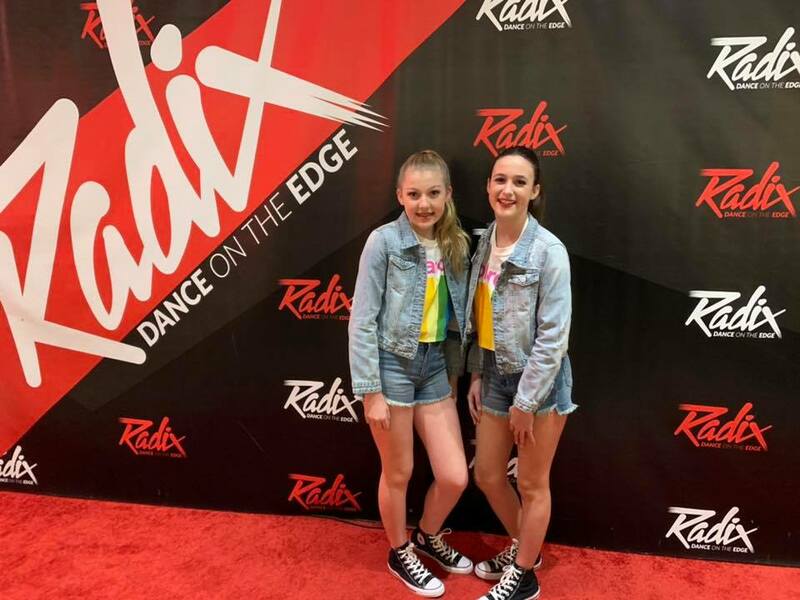 Both the dancers and their moms feel some of the pressure to look a certain way, dance a certain way, and present a certain way as this is truly an important weekend for their future as dancers. For my daughter, dancing is simply something fun to do that keeps her active and adds to her overall development as a multi-talented person. She had no interested in being “discovered”, in fact, she really just wanted to have some fun and be a little silly during a weekend away with her best friend. 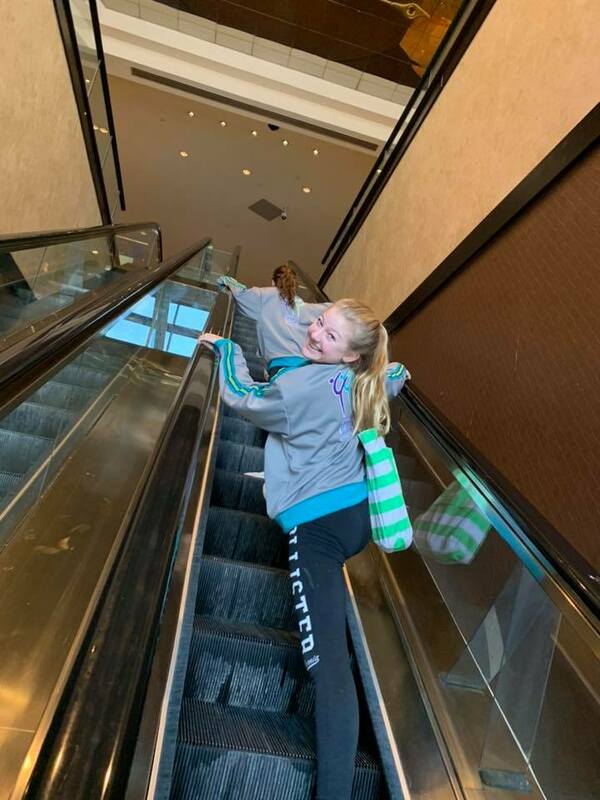 So while the real dance moms were understandably a bit anxious and stressed all weekend as they fed off of their child’s anxiety and stress, us fake dance moms were having a blast. Before classes we overheard some dance moms reminding their children to do whatever was necessary to get a spot “near the front” so they would be noticed by the instructor. Us fake dance moms told our girls to get spots by the door because we wouldn’t be able to see them and sneak a picture if they got a spot in the front. Despite my fake dance mom status I have to say I do have one thing in common with the real dance moms. We just love to watch our dancers dance. All of the money, all of the time spent, all of the clueless moments and mistakes we made that weekend were all worth it when I watched my daughter transform her silly happy herself into a stunning, skilled dancer whose smile lit up the stage. At that point I was willing to do whatever she wanted or needed to keep smiling and dancing. At that moment I realized why those real dance moms do all that they do. And I was all in. 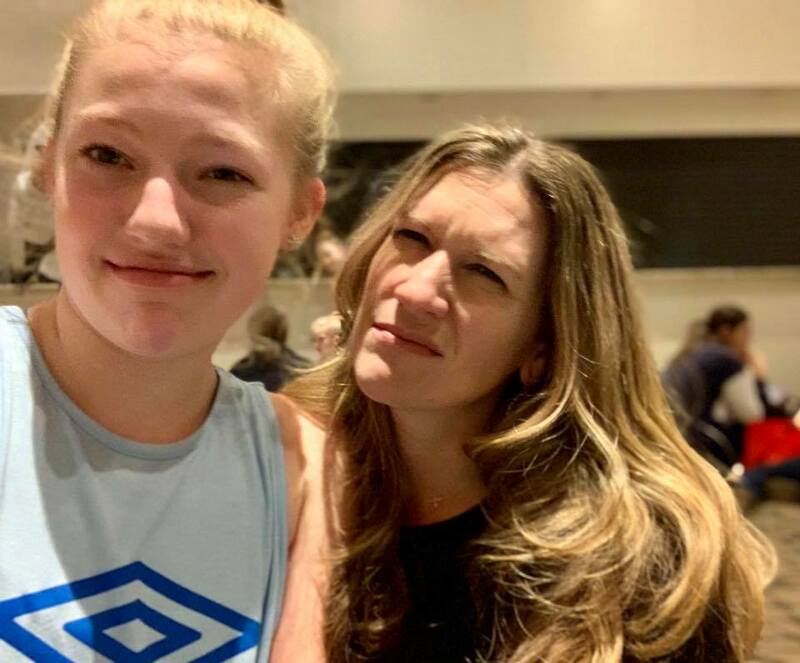 As we drove out of Boston that Sunday evening she made a comment that this first convention may be her last as she’s thinking about playing volleyball…or basketball…or maybe running track next year in high school. And I had to admit it made me a little sad. I may have never wanted to be a fake dance mom…but…I kind of like it. **Thanks to all of the dance moms we met that weekend for the tips, the advice, and for telling us what the hell was going on. Special shout out to my friend, and other fake dance mom, Alicia and her beautiful daughter Grace, pictured above. Thanks for the fun. Totally relate! I am a fake gymnastics mom! I am the worst at getting my daughter competition ready that we actually forgot her leotard once and realized an hour into our drive and had to turn around and start the day again 🤦🏻‍♀️.